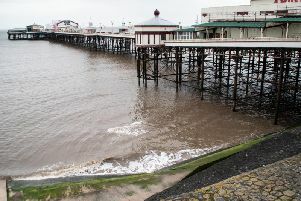 Blackpool would enter into talks with neighbouring towns to share more services but will not abandon support for a new combined Lancashire authority. Wyre bosses will this week approach neighbouring Blackpool and Fylde in the hope of striking cash saving deals. Leaders there are opposed to any plans for a County-wide administration. The scheme they support is closer to the City of the Fylde concept, with Blackpool, Fylde and Wyre combining to provide key services. Councillors are tomorrow expected to authorise Civic Centre staff to begin talks with Blackpool and Fylde over such a deal. In a report prepared for a meeting of the full council, leader Coun Peter Gibson makes clear his belief it is the only viable option. He said: “There are clear synergies and opportunities to be realised by working across the Fylde Coast and there are already some good examples of working together. Blackpool Council says closer collaboration does not have to come at the expense of a Combined Lancashire authority. Deputy leader, Coun Gillian Campbell, said: “Blackpool and its neighbouring Councils of Fylde and Wyre have a long history of working closely together. This includes shared services, such as revenues and benefits and human resources with Fylde. “We are also looking at more integrated arrangements for health and social care across the Fylde Coast. So we would be more than happy to look at ways we could collaborate further.